Life! Thrills! Action! 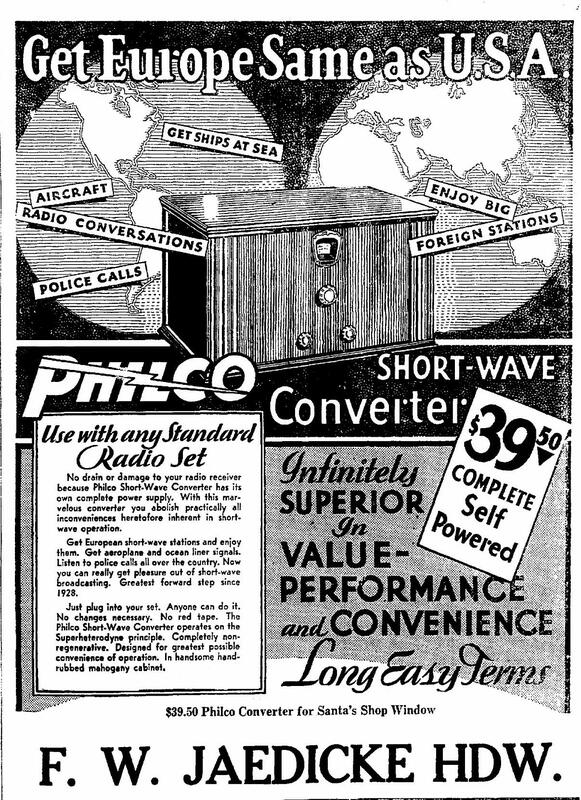 Get all the Drama of the Radio World with Philco Shortwave Converter! 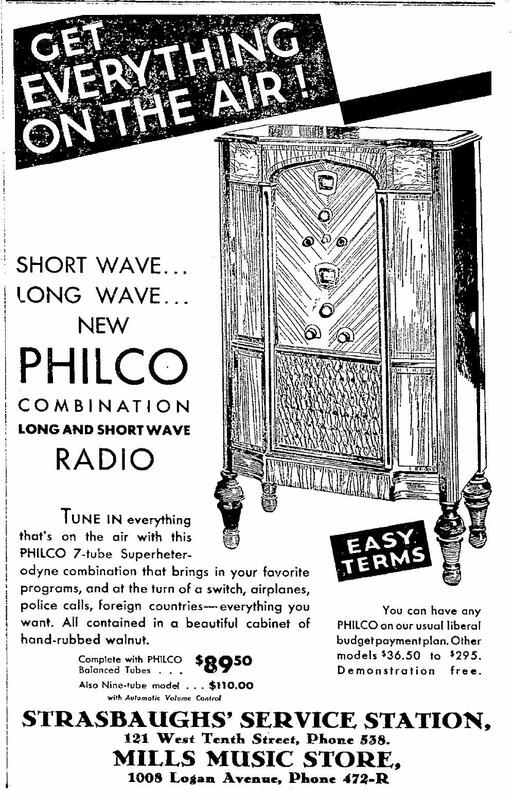 the company's first shortwave offering. type 27 (oscillator), 24 (mixer) & 80 rectifier. 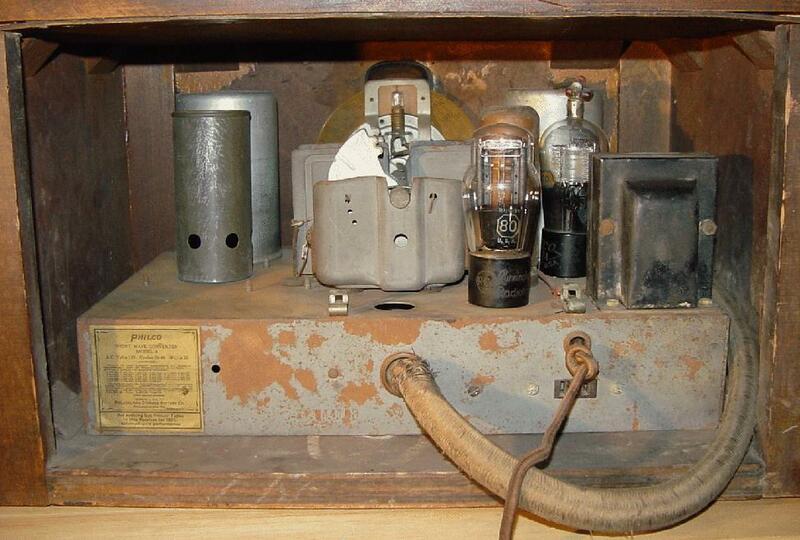 The schematic is available at NostalgiaAir. 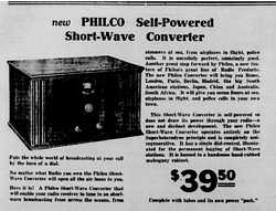 means of providing AVC to the converter. New! New! 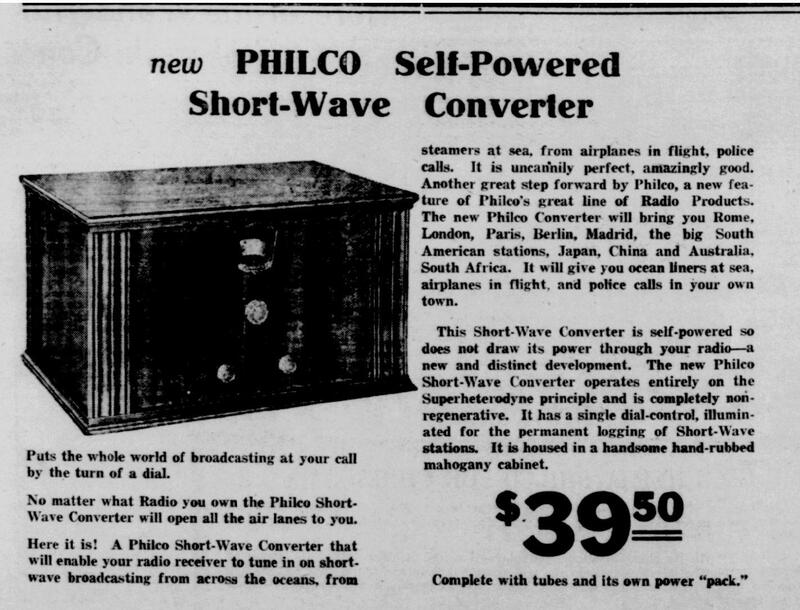 Philco Self-Powered Shortwave converter. 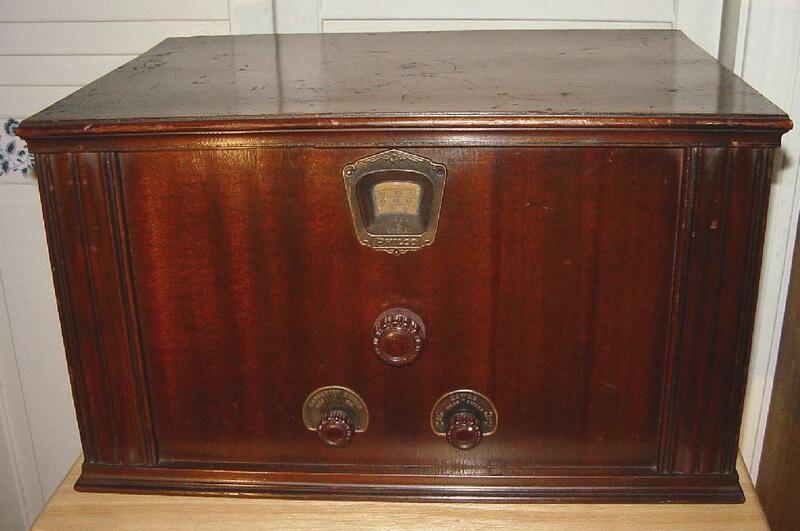 used with ANY make of radio receiver. 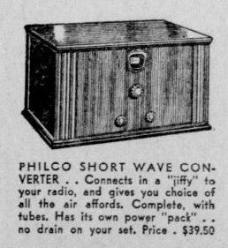 Complete with its own tubes and its own power pack. Connects in a "jiffy" to your radio, and gives you choice of all the air affords. It is uncannily perfect... amazingly good.